As fun as they are, the holidays can be a particularly stressful time for families. Nowhere is this more prevalent than with children who have special needs for attention, social anxiety, sensory processing and more. With a holiday as long as Hanukkah -- eight whole days -- this can be even more of a challenge. Here are a few ideas to try the next time your child is struggling. One tip from parents of children who are averse to change in the routine is to mix some tradition into the new, holiday-themed activities. For example, serve a food she is accustomed to alongside a new holiday dish, or plan to complete your usual evening activities before lighting the Menorah. This way, your child can take comfort in the familiar while also enjoying the unique traditions of the holiday. Children who are on the autism spectrum or have ADHD could benefit from a visual schedule that shows them what to expect and keeps them on track. 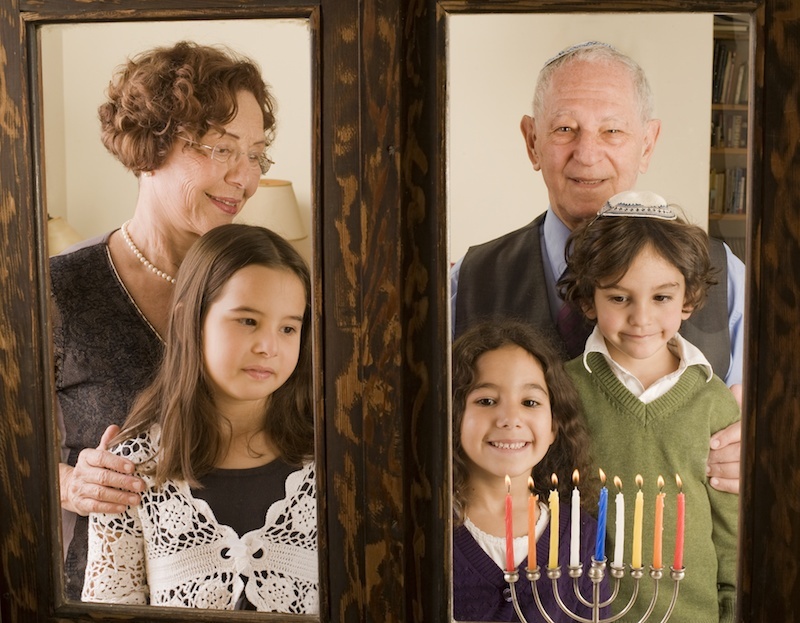 As a family activity, you can create a calendar for the Hanukkah season showing each important date and event. Include things like visits with family, when you are going to worship services, a meal plan and the time of nightly blessings. Having a holiday calendar in a visible place will help the whole family celebrate together without any surprises. Finally, do what's best for your family. If this means going easy on the family outings and big meals, then do so. New Hanukkah traditions can be made as you discover what works best for your unique and wonderful child. Maybe you'll want to exchange gifts quietly in the morning, before the excitement of the day. Perhaps you'll light the Menorah in another room to assuage a child who is anxious about fire. Whatever it is, don't feel guilty if you need to make it happen. This is your holiday and your family -- and you should enjoy them both! Hanukkah is a time for loved ones and reflection, but it can also be a time of new experiences and changes to the routine. By taking a few proactive steps, you can help your child fully enjoy this holiday with the family.